Lately I am seeing Mint and Peach wedding details all over Pinterest and my favorite wedding blogs. I love this color combination for romantic weddings with vintage details. 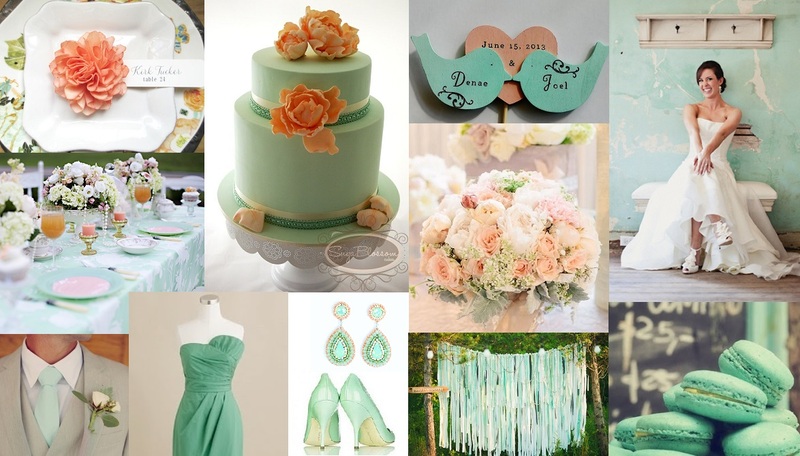 I created my Mint and Peach Wedding Inspiration board for couples planning a Spring or Summer Wedding. Enjoy!